Our key aim as a producer and marketer of Scotch whisky is that our customers enjoy our brands in a responsible manner and that they have a positive experience through the consumption of our whiskies. In a wider context we are committed to supporting the initiatives set out by the Scottish Government and the various European and world institutions in relation to the responsible consumption and promotion of alcoholic beverages. The Tomatin Distillery is part of the European spirits industry and has a long-standing commitment to responsibility, both through its own actions in marketing its products responsibly, and by its programs to combat alcohol misuse and to promote responsible consumption by those adults who chose to drink. Responsible drinking messages – CEPS members have agreed, where permitted by national law, that by 2010, 75% of advertising (print including billboards, TV/cinema and website) will carry responsible drinking messages. Codes of conduct on marketing of spirit drinks – All CEPS members fully adhere to the principles enshrined in The Amsterdam Group’s Common Standards on Commercial Communications. Product development – In developing new products CEPS members undertake to do so in a responsible manner and apply the same rules and high standards as those applicable to the marketing of existing spirit drinks. Underage drinking – CEPS members will work closely with national authorities in ensuring minimum purchase age legislation is enforced. Drinking and driving – CEPS members will continue to work with national authorities in ensuring the dangers of drinking and driving are widely communicated. Education – CEPS and its members will work with other stakeholders to agree definitions of sensible drinking levels and communicate them widely. As a responsible manufacturer the Tomatin distillery has a commitment to ensure that its brands are promoted and enjoyed in a socially acceptable manner. We wish to encourage those adults who chose to drink to do so in a responsible manner and to avoid the misuse of alcohol. We would like consumers to enjoy our whisky in moderation and feel that scotch whisky can be a part of a healthy balanced lifestyle if it is consumed in the appropriate manner. Although we accept that we have a responsibility to encourage consumers to drink in moderation we also firmly believe that every individual has an obligation to consume alcohol in a sensible fashion. When possible we aim to work in partnership with overseas importers / distributors / wholesalers to ensure that they share our beliefs in the responsible consumption and marketing of alcoholic beverages. As well as encouraging the responsible consumption of alcohol we are also committed to the following objectives as set out on the Scotch Whisky Associations code of Practice. Implement responsible marketing, Sponsorship and promotional campaigns. for a full break down of what is included in the code of practice. The distilling industry, in common with other industries, impacts on the environment in many different ways, such as consumption of energy, water and other natural resources, and it is a source, both directly and indirectly, of atmospheric emissions and trade effluent. 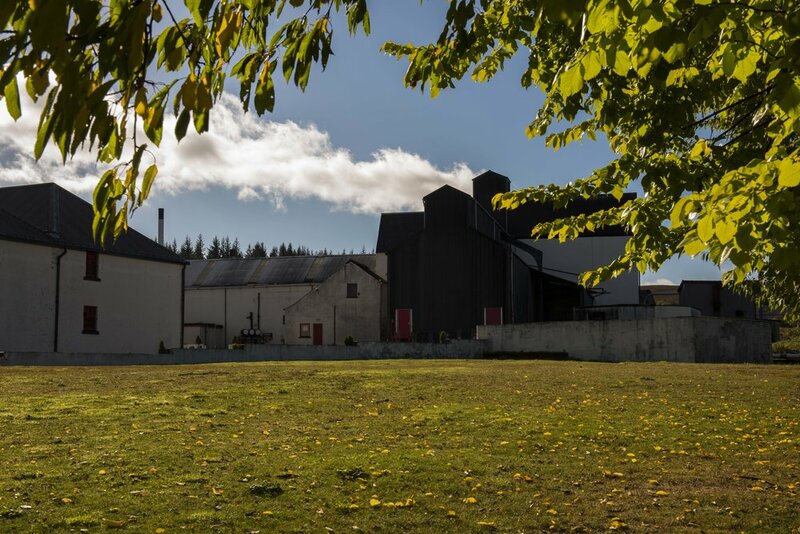 Reducing greenhouse gas emission and increasing the use of non-fossil fuel are the cornerstones of the Tomatin Distillery and Scotch Whisky Industry’s efforts to make manufacturing more sustainable and support a low carbon economy. In 2013 we became the first distillery in Scotland to install an environmentally efficient wood pellet fuelled steam boiler for use in our production process, with assisted funding from the Green Investment Bank and RHI. Fuelled by locally produced wood pellets manufactured In Invergordon by a company called Balcas, using renewable electrical and thermal energy and raw materials from local forests. The wood pellets used to fire the new boiler are made from virgin wood, where two trees are planted for each one harvested, and the woodchip created from the production of the pellets generates electricity, making the production site (only 35 miles from the distillery) self-sufficient and the end product carbon neutral. As members of the Scotch Whisky Association we are fully committed, along with the other members, to reducing our carbon output by 80% by 2020. The shift to biomass and LPG fuel means we, at Tomatin Distillery, have achieved that already well ahead of the target date. We are delighted to now be one of the greenest distilleries in Scotland, and to have been the first to have completed the installation of a biomass boiler. After further research, Graham Eunson (Distillery Manager) was then keen to look into integrating an LPG boiler into our solution. He visited other distilleries that had already transferred from heavy oil to LPG, to see first-hand the benefits it could bring to a distillery. Graham discovered LPG produces 15% less CO2 than oil boilers, and produces less greenhouse gasses than many other fossil fuels like oil or natural gas. LPG also burns cleanly and unlike oil does not produce soot, with very low maintenance requirements. An LPG boiler was then integrated in 2015. In 2015 we installed an electric car charging point, which is used by many EV users travelling on the busy A9 route. We also introduced the first hybrid vehicle into our company car scheme – the employee, commuting from Inverness, has reduced her fuel usage by 75% with the majority of her commute conducted in its electric mode. In 2016 we constructed a reed bed/wetlands effluent treatment system consisting of over 18,000 varieties of plant, each with unique properties able to digest our liquid effluent. This is now fully operational, vastly reducing vehicle movements to and from the site whilst also creating a diverse habitat for wildlife. As part of the reed bed project we replaced the septic tanks for 6 houses with a modern sewage treatment plant, thus reducing the BOD loading on the burn. Vertical flow reed-beds are more effective at nitrifying effluents, converting ammonia into nitrates, than most package sewage treatment plants. Last year we won the "Environment" award at the Highland and Islands Food and Drink Awards. We are also signatories of the Highland Council's Carbon CLEVER Declaration, aiming to achieve a carbon neutral Highlands by 2025.